In a magical, near-future world where the library at Alexandria never fell and stands as the parent for the Serapeum, or daughter libraries, a supremely powerful body known as the Great Library closely controls all knowledge. 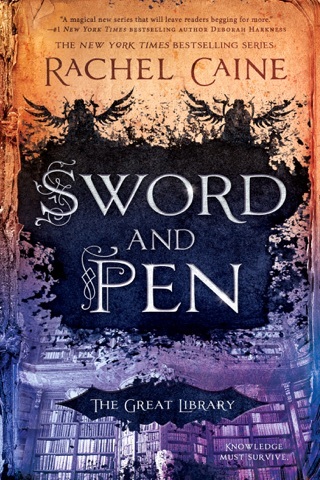 Sixteen-year-old Jess Brightwell, born into a family of book smugglers, loves to immerse himself in the rare, forbidden, original volumes, though he doesn t have the heart for the family business. Jess s father finds another way for him to be of use: Jess is allowed to test for a coveted position in the Library but must agree to help out the family in return. Thus begins his descent into the dangers of discovery, the politics of power, and the wastes of war. Stylistically familiar fantasy elements (an elite school reached by train, magical automata) immerse readers in a world where survival often comes with a steep price. 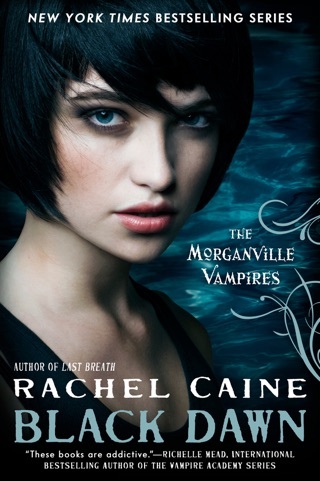 Caine s (the Morganville Vampires series) elegantly detailed descriptions bring Jess s world to vivid life in a fast-paced, action-oriented plot that will leave readers breathlessly anticipating not just the next page but the next book in the Great Library series. Ages 14 up. Having a library in charge of the world's knowledge sounds like amazing things. With the goal of the library being the preservation of original works (think old school documents and hand-made books) and the distribution of books through blanks (think tablets only in the shape of a book with actual pages), The Library seems to be a force for good. But when the wrong people are in charge, knowledge and innovation can be stifled and withheld. This is The Library as it is today. Jess Brightwell isn't the most obvious choice to work as a librarian, but it's his life goal. The son of a smuggling family, he's access to information and books that most people are not allowed to see. He has a love of the written word and longs to know more. Most of the story revolves around Jess after he accepted for training in The Library. They are an interesting group, and I really enjoyed how their personalities clashed and meshed in various ways. The training in intense and often dangerous. And, most of all, eye-opening. Jess realizes The Library isn't the idealist entity that he looked up to his whole life, and he has to come to terms with some very hard truths about himself and his fellow trainees. One of the really fun aspects of the book are the little snippets into the Black Archives or destroyed works that are deemed too dangerous for the public. Through these little bits and pieces, the reader is able to see into the heart of The Library and its leaders, see into the past and how it took the wrong turn into tyranny. This was a fantastic start to a new series. Amazing characters, an intriguing world, and a search for a better way to use the vast knowledge of the world. 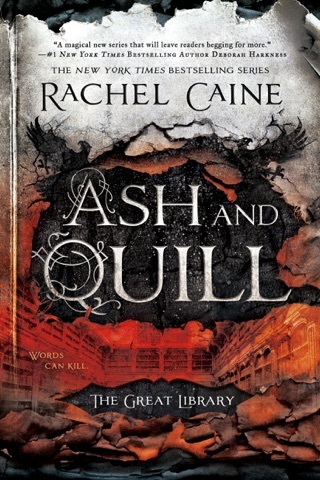 Ink and Bone is the first book in The Great Library series by Rachel Caine. It is 2025 in London. Everything is controlled by The Great Library. The Library is the keeper of knowledge, wisdom, and information. Jess Brightwell is the son of Callum Brightwell, a book dealer. Unfortunately, dealing in real, original books (hard covers with printed pages) is illegal. Jess is taught the business from a young age. He starts out as a runner where he delivers the illegal books to clients (and will be arrested if caught). The one thing Jess does love about the business is the books. He will read anything he can get his hands on (which means pilfering them from his father and hoping he does not notice). 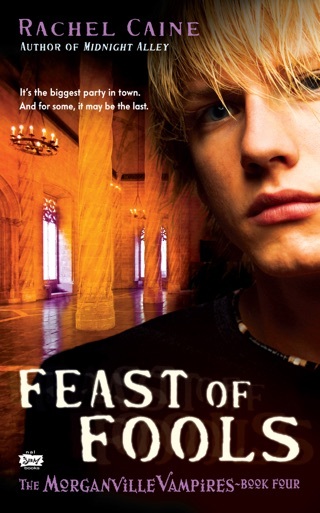 When Jess is sixteen, Callum buys him a placement in the Library training program. First Jess will have to pass a test and be accepted (which he passes with flying colors). Callum does have an ulterior motive, of course. Jess will be training in Alexandria where the Great Library is housed (other cities have satellite libraries). Callum will want Jess to acquire and deliver books. Jess is thrilled to get away (and hopes to find a way to avoid his father’s demands). The training is difficult and rigorous. Not all the candidates will make it through the training program. Their teacher is Scholar Christopher Wolfe and he is not thrilled to be teaching a group of postulants (as the students are called). Scholar Wolfe has no intention of taking it easy on this group. One by one the students are dismissed. 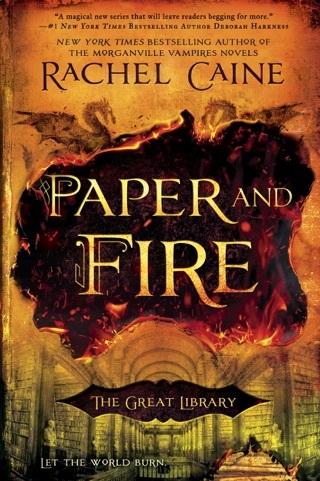 Then the final group has to go on a dangerous assignment to save books in a war zone. Who will make it back alive? I enjoyed Ink and Bone for the most part. 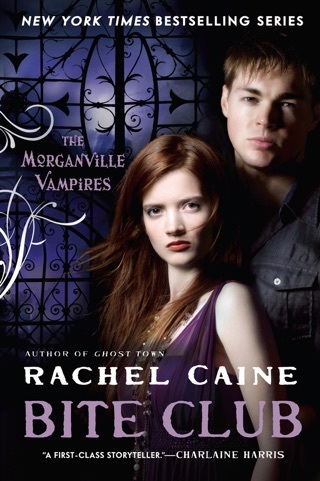 It is an interesting world (Rachel Caine came up with some unique things), and I liked the main character (especially his love of books and reading). 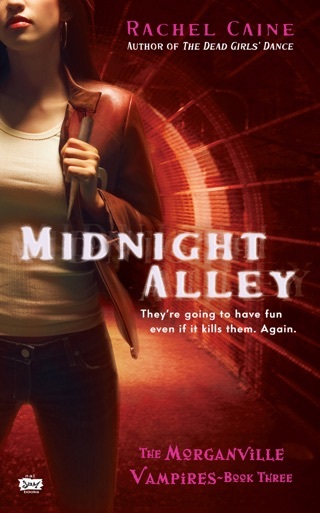 There is a lot of action in the second half of the book (especially towards the end) which made it more interesting and gave the book a faster pace (better than the first part). Imagine a world where owning a real book (especially old, first edition books) made with paper and ink is illegal! The Library owns all originals and you can be arrested/jailed if caught with books (especially trading in them). 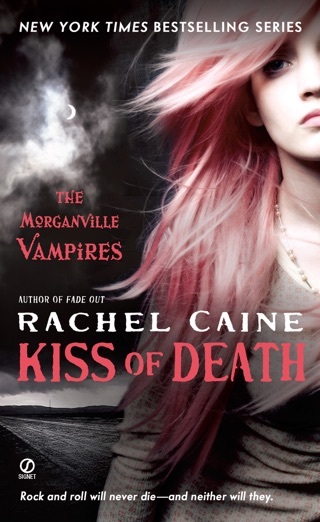 There is violence and death in the book (if not for that it would more suited to young adults/tweens). 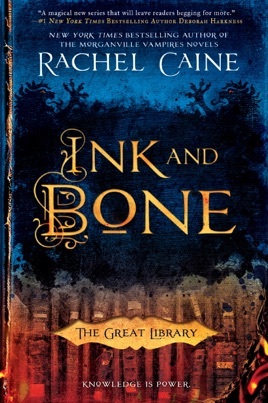 I give Ink and Bone 4 out of 5 stars (I liked it). 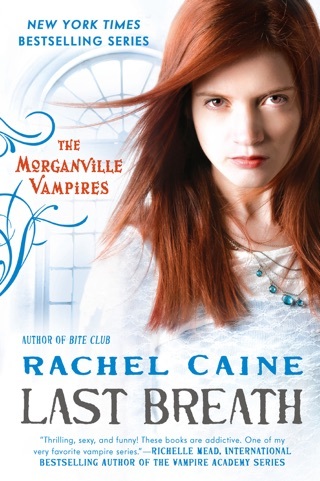 I will be reading the next book in the series to see what happens next (I admit that I am curious). 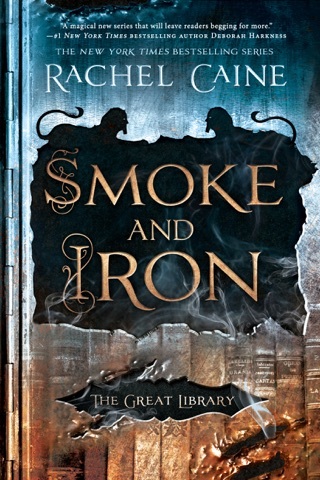 I received a complimentary copy of Ink and Bone from NetGalley in exchange for an honest evaluation of the book. The comments and opinions expressed are my own. Imaginative, witty, and engrossing, this book is well worth a read. Though be warned, there are concepts in here that younger readers may find disturbing. However, for many I expect this will be a highly anticipated series, with readers counting down the weeks and months to the next book release. Thoroughly enjoyed it.